Croatia is one of the most popular holiday destinations in Eastern Europe. The region has a beautiful landscape and it also has great sights and sounds. If you do go on a vacation to Croatia, you can be sure that you will obtain good value for your money. 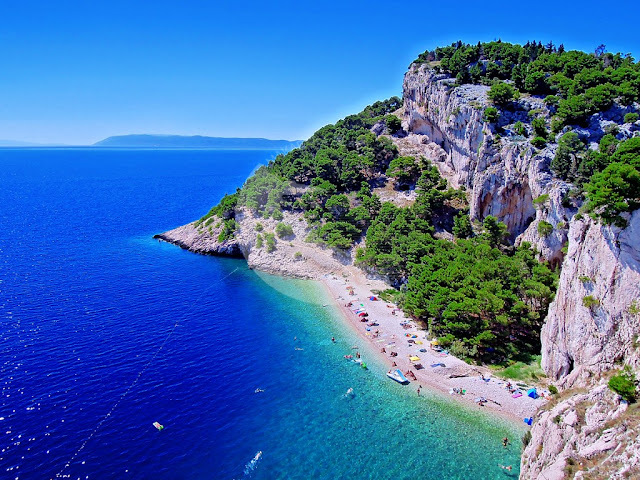 One of the primary concerns you might have when visiting Croatia is how you are going to travel and explore the various tourist locations within the country. Croatia has a very efficient and reliable public transport system. Furthermore, train fares and bus tickets are priced reasonably. There is a good train network in the north and the bus routes span the entire country. If you want to travel on the waterways, there are ferries that operate along the Adriatic coast and also reach the offshore islands. In addition, there are many international tour guides/operators within the country. They usually run their services from the months of April to October, and they organize frequent charter flights and tourist train journeys. In terms of air travel, you can use Croatia Airlines to travel via the popular flight routes within Croatia. Some of these routes include Zagreb to Brac, Dubrovnik, Pula, Split, and Zadar. It is worth mentioning that the most convenient and cheapest way to travel in Croatia is by train. This is because rail travel is cheaper and more comfortable than other forms of transportation. However, the trains tend to be slower than traveling by bus, unless you use the new high-speed train between Zagreb and Split. As mentioned earlier, the bus network is reasonably priced and it covers all destinations within the country. Furthermore, there are many car rental chains that can be found in Croatia. These chains are mainly concentrated in places like Zagreb, Split, Dubrovnik, and in the majority of Istrian towns. At this junction, one should be aware that in Croatia, driving is done on the right side of the road. The very popular Adriatic highway that runs from Italy to Albania offers one of the most exhilarating drives in the world. The main reason why this highway is so popular is because it runs along the steep slopes of Croatia’s coastal range. Traveling by ferry is perhaps the most relaxing way to see the country. It also gives you an opportunity to appreciate more of the stunning scenery that this country has to offer. There is little doubt that cruising among the islands of Adriatic can be a highly gratifying sightseeing experience. The main ferries ply the waters between Dubrovnik and Rijeka and the route usually ends at Split and Korcula.